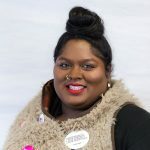 A graduate of Colorado State University (Media Studies major, African American Studies minor), Laura has a strong background in organizing with an emphasis on social justice and anti-racism. Laura moved to Las Vegas in 2007 from her hometown of Colorado Springs to organize with SEIU Local 1107. After working for University of Nevada Las Vegas and Americans for Democratic Action, Laura joined PLAN as an organizer, then Communications Director, and now serves as the Associate Director. She is a proud member of the National Coalition of 100 Black Women Las Vegas chapter, board member of Nevada’s chapter of the Sierra Club, and board member of the Western States Center. Bob has worked as Executive Director of Citizen Alert, a statewide grassroots environmental organization, from 1984 to 1994. He has also served as adjunct faculty at the UNR School of Social Work, teaching classes on oppression and privilege. A fifth-generation Nevadan, Bob was on the staff of Senator Paul Laxalt while attending George Washington University. Bob serves on the board of High Country News and the advisory board of The Note Ables, a performing arts group for people with disabilities. He is a 2006-7 fellow in the Rockwood Leadership Program’s yearlong national fellowship for transformative leadership in the nonprofit sector, and a recipient of the “Leadership for A Changing World” Award from the Ford Foundation. Bob received the Arcus Social Justice Leadership Fellowship at Kalamazoo College in 2011. 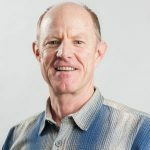 In addition to his work, Bob’s premier loves are his life partner and family, teaching yoga, folk music and all aspects of nature in the Great Basin and Sierra Nevada. Amanda started with us as the Economic Justice Organizer, where she spent 2017 fighting the ACA repeal attempts. As the State Field Director, Amanda is working to transform power within disenfranchised communities. Amanda has a passion for immigration, and is a child of formerly undocumented parents, and has a family member directly impacted by the current administration’s deportation policies. In her free time, Amanda is the food writer for the online publication BrownGirl Magazine, and also has a personal blog where she writes about curry, and aunties with a political flare. Leslie is a California native, but has lived in Nevada on and off since 2007 when she made her way back to the Valley to complete studies in criminal justice and sociology at UNLV. 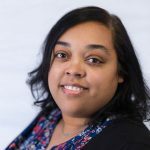 She brings over 15 years of experience working with adults, youth, and families who have been directly impacted by systematic racism on various levels. She most recently was working in a local juvenile detention center, assisting young people and their families break free from cycles of incarceration. Leslie is passionate about ending mass incarceration and the school to prison pipeline. It is with that enthusiasm that she began working for PLAN as the senior organizer for the Decarceration Project. Leslie spends her time away from organizing, chasing after her energetic 3 year old son, Nasir. Christine joined PLAN Action in 2018 after having moved from Portland, OR. There she worked to organize the Fair Shot for All Coalition’s successful legislative campaigns including statewide paid sick days, an increase in the minimum wage, reproductive health equity, ban the box, and healthcare coverage for all undocumented children. Christine also has a Masters of Social Work from the University of Denver and spent time advocating on behalf of policies that support working women while a student. She has had a passion for economic, racial, and gender justice since her first rallies and lobby visits in Oregon at age sixteen. When not working Christine can be found spending time with her partner and pet rabbits. Originally from Maryland, Alicia is a political communication strategist with campaign and policy experience in DC and Nevada. She has also worked in in all areas of political campaigns, including field, finance, digital, communications, and candidate management at the local and federal level. Her political career on Capitol Hill as a Legislative Aide and she transitioned to state politics in the Maryland State legislature. More recently, she ran the digital and outreach program for an in-state progressive SuperPac in Las Vegas. She is an Emerge 2016 graduate and successfully completed the PCCC Candidate training. Her passion is authentic storytelling and thoughtful leadership. 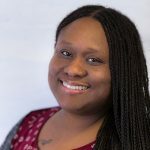 She holds a Bachelor’s Degree from the University of Maryland, College Park in Criminal Justice and will complete her master’s degree in Strategic Communications at American University Winter 2019. She is a dance fitness enthusiast and makes and sells bold progressive jewelry on Etsy. Erika started volunteering to help fight for immigration reform. She became a staff member in 2015 as a mining justice organizer. She recently took over the immigrant rights organizing responsibilities and leads the Nevada Immigrant Coalition. 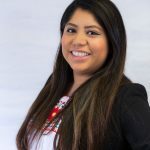 Erika is a graduate from the College of Southern Nevada and currently attends the University of Nevada Las Vegas to obtain her Bachelors in Social Work. When she isn’t fighting for all the things that put People and Planet First, you can find her having brunch with friends or on a hike enjoying the outdoors. 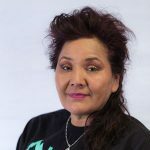 Beverly Harry is a member of the Navajo Tribe within the Four Corners Region. She began working with us in 2016 during the election and had served as volunteer to many events. Although working in organizing, her knowledge and work with water quality and fisheries management are also her passion. Beverly works with the 27 member tribes to assist in voter outreach and tribal empowerment projects.